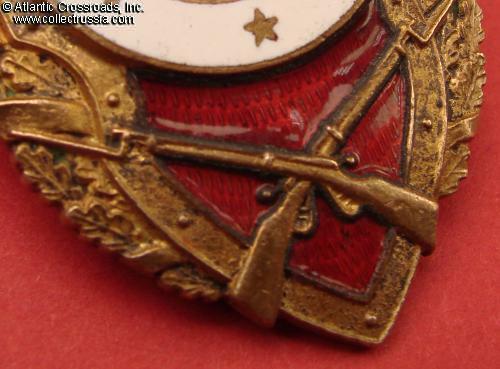 Sniper badge, MTKh version, early 1950s. 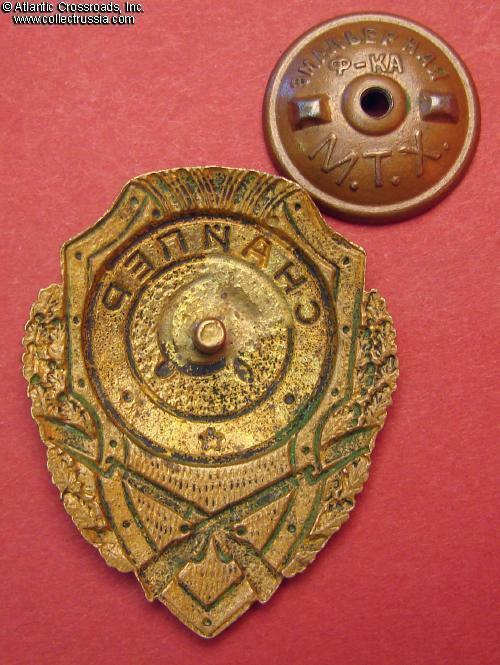 Brass, enamels; 45.8 x 36.1 mm. 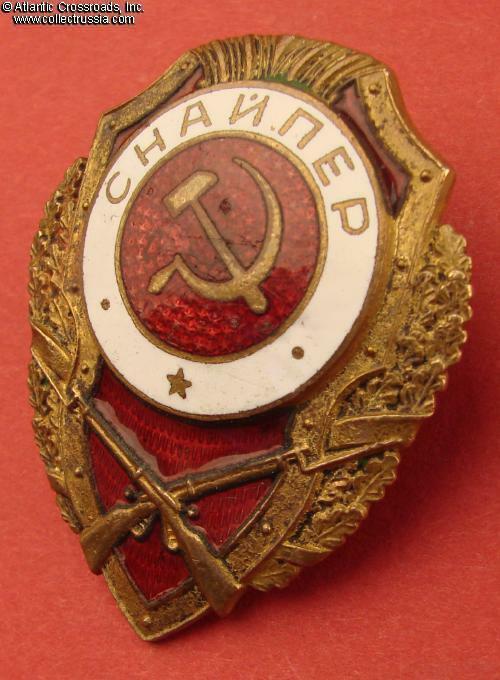 This extremely scarce version of the Sniper's badge was manufactured during 1950- 1953 by the MTKh (Moscow Artists Cooperative). Features two widely spaced dots in the lower part of the white band; the scrolls in the ornament on the top of the shield are sharply defined and form a downward pointing triangle in the middle. This is the so-called First Unified type according to the Airapetyan classification. 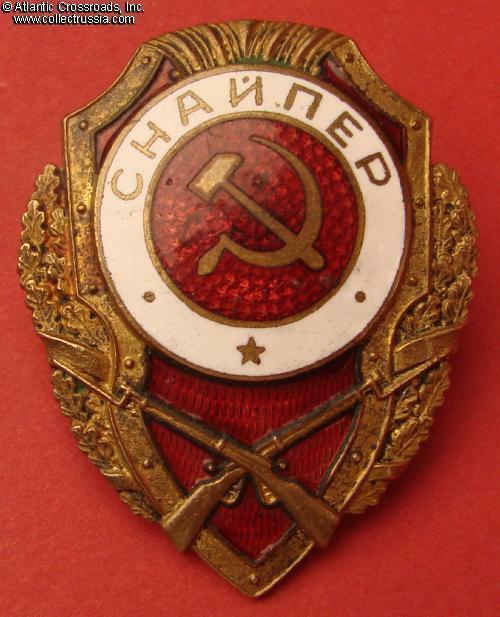 Note that this version is rated 5 (very rare) in the Airapetyan's "Breast Badges of the Red Army"
In very fine to excellent condition, outstanding for this badge. The enamel is completely free of chips, cracks or other significant damage. The center medallion has only minor scratches, contact marks and few tiny surface flakes. None of them are visually very detracting; the enamel retains its translucency, luster and overall appeal. 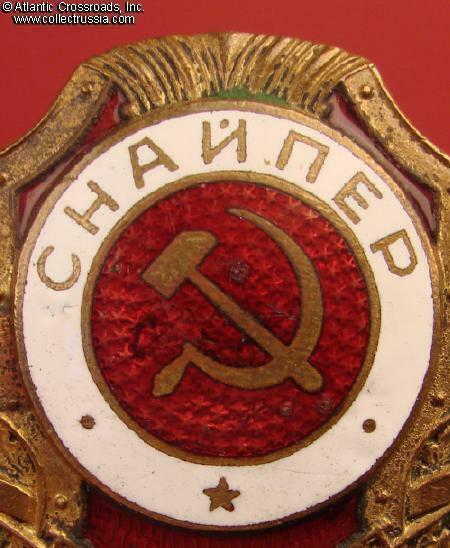 The red enamel in the lower portion of the badge is pristine. The details of the wreath and rifles are perfect and beautifully crisp. 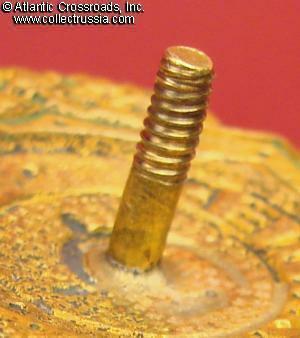 The screw post is full length, well over 11.5 mm. 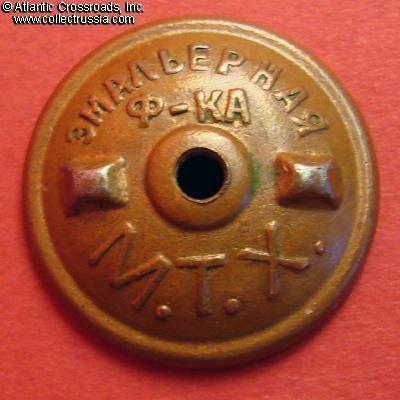 Comes with original screw plate marked "Enamel Workshop, Moscow Artists Cooperative".